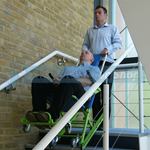 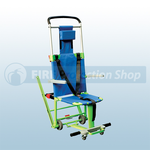 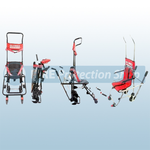 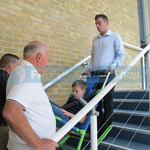 Available from the Fire Protection Shop are a range of emergency evacuation chairs that are specifically designed to help assist you in transporting and moving mobility impaired people up and down the stairs in a variety of situations, and to help them get to a place of safety in emergency situations, such as a fire. 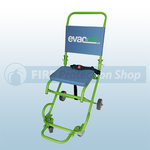 The emergency evacuation chairs are available from Evacusafe as 3 and 4 wheel patient folding chair and excel folding evacuation chair. 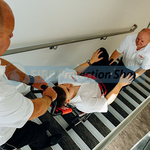 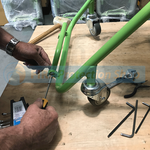 Training courses are also available which include chair basic operator course, excel chair key trainer course and evacuation chair servicing. 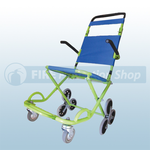 Globex chairs are also available in GEC1, GEC3, GEC4, GEC5, GEC6 and GESE. 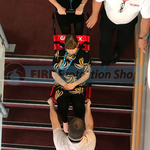 Training courses included train an operator for 4-6 or 7-12 delegates and train the trainer course for 4-6 or 7-12 delegates and evacuation chair servicing.